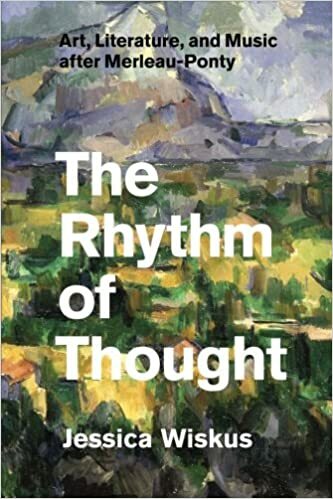 Between present and past, visible and invisible, and sensation and idea, there is resonanceвЂ”so philosopher Maurice Merleau-Ponty argued and so Jessica Wiskus explores in The Rhythm of Thought. Holding the poetry of StГ©phane MallarmГ©, the paintings of Paul CГ©zanne, the prose of Marcel Proust, and the music of Claude Debussy under Merleau-PontyвЂ™s phenomenological light, she offers innovative interpretations of some of these artistsвЂ™ masterworks, in turn articulating a new perspective on Merleau-PontyвЂ™s philosophy. More than merely recovering Merleau-PontyвЂ™s thought, Wiskus thinks according to it. First examining these artists in relation to noncoincidenceвЂ”as silence in poetry, depth in painting, memory in literature, and rhythm in musicвЂ”she moves through an array of their artworks toward some of Merleau-PontyвЂ™s most exciting themes: our bodily relationship to the world and the dynamic process of expression. She closes with an examination of synesthesia as an intertwining of internal and external realms and a call, finally, for philosophical inquiry as a mode of artistic expression. Structured like a piece of music itself, The Rhythm of Thought offers new contexts in which to approach art, philosophy, and the resonance between them. Michael B. Smith (Evanston, IL: Northwestern University Press, 1993). Originally published as LвЂ™oeil et lвЂ™esprit (Paris: Г‰ditions Gallimard, 1964). Hereafter cited as вЂњEye and Mind,вЂќ with pagination of the English translation followed by that of the French original. 2. For a subtle reading of Merleau-PontyвЂ™s relation to Descartes, see the chapter вЂњDwelling in the Texture of the Visible: Merleau-PontyвЂ™s вЂ�Eye and MindвЂ™ (1961)вЂќ in Lawlor, Early Twentieth-Century Continental Philosophy, 141вЂ“73. 3.